I am very lucky that Baby G (a shorter nick for Gabbie) loves eating. She is never the picky type, we’ve started her with cereals when she was 3 months old (as per her Dr. Ayel Nuguid‘s order) but eventually she never liked processed/artificial foods. That’s when we introduced vegetables & fruits to her. So far she loves broccoli, sayote, papaya, kalabasa, spinach, upo, papaya,patola, carrots (even though she cannot digest it properly) and as for fruits she likes papaya, mango, banana,melon,orange, and apple. I never pureed nor mashed her food much mainly because she likes textures and that I really don’t mind (makes my cooking easier), as long as they’re a size of a pea all is good for her to eat! Moving on, yesterday I’ve cooked for her spaghetti using vegetable pasta. Since we’ve noticed that other than rice, vegetables, and fruits, baby G also loves breads (pastries) and pastas! 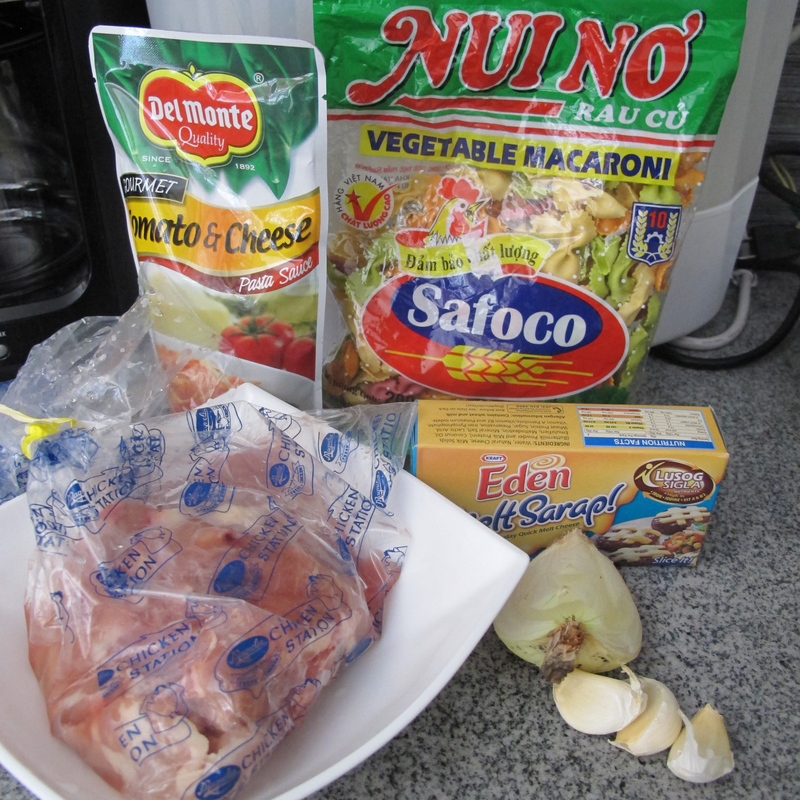 Here are the ingredients & 3 easy steps on how to make your own spaghetti. 1. 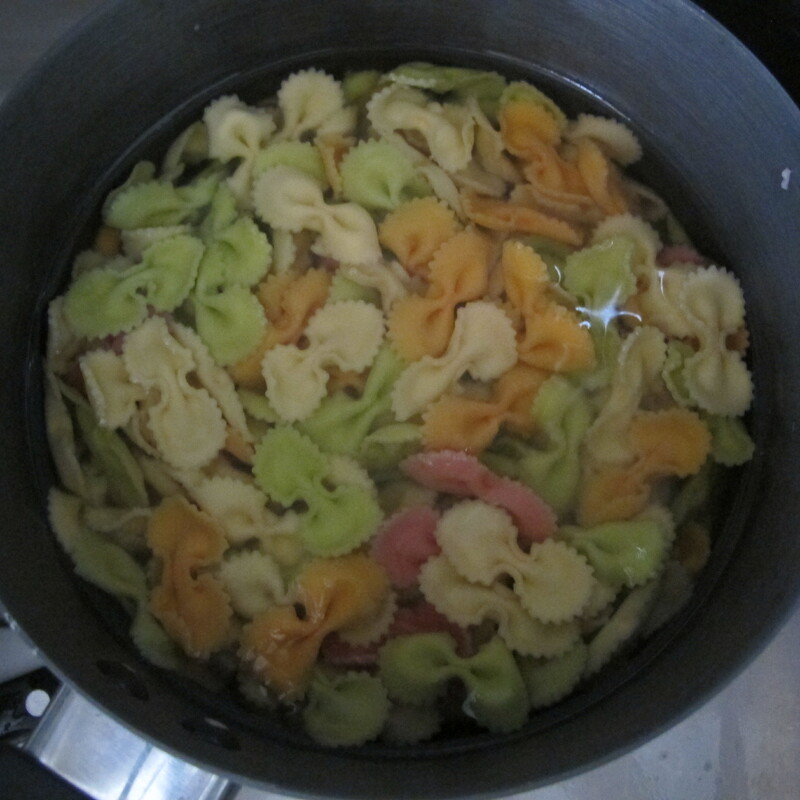 Boil about 1 liter of water in a pot, pour in the vegetable macaroni pasta. 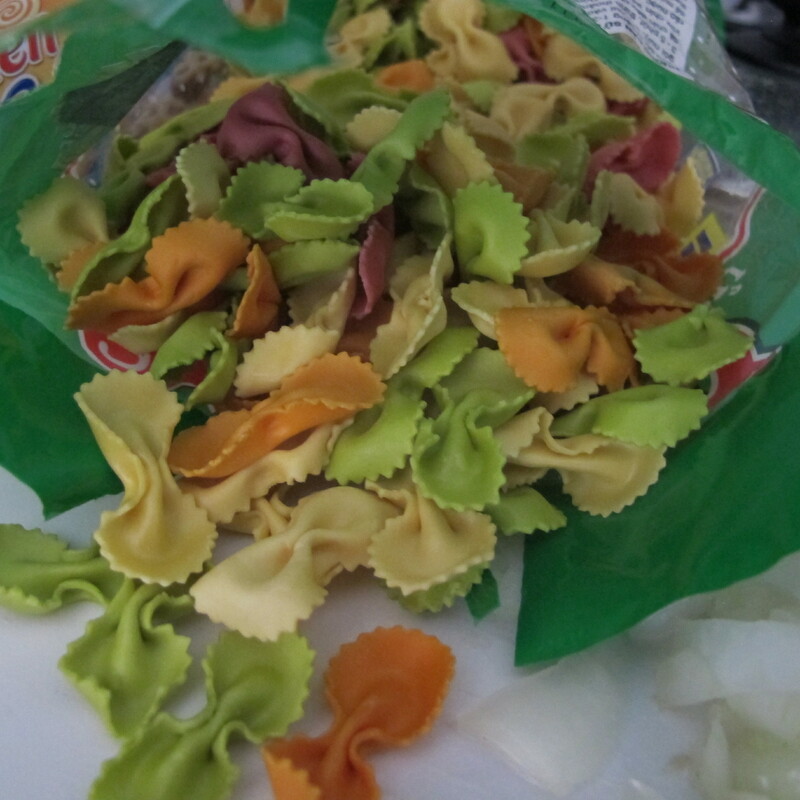 Cover and let it cook for 3-6 minutes (up until it’s al dente). Drain and set aside. 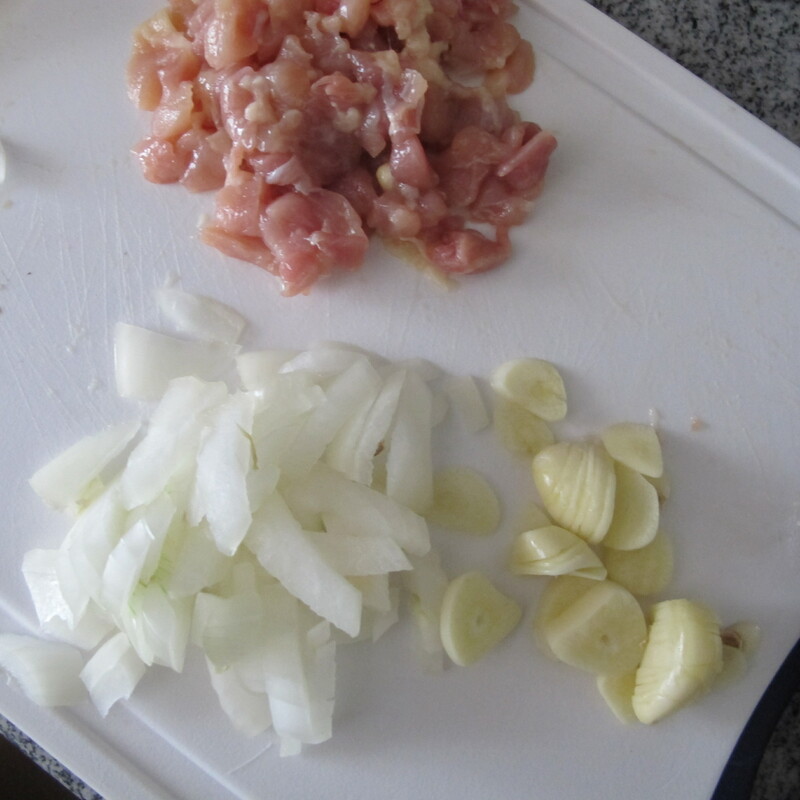 2.Cut and slice the onion (wedge), garlic (chopped) and chicken (diced), in a sauce pan add olive oil and saute altogether the garlic,onion & chicken for 2 minutes or until chicken is relatively cooked. 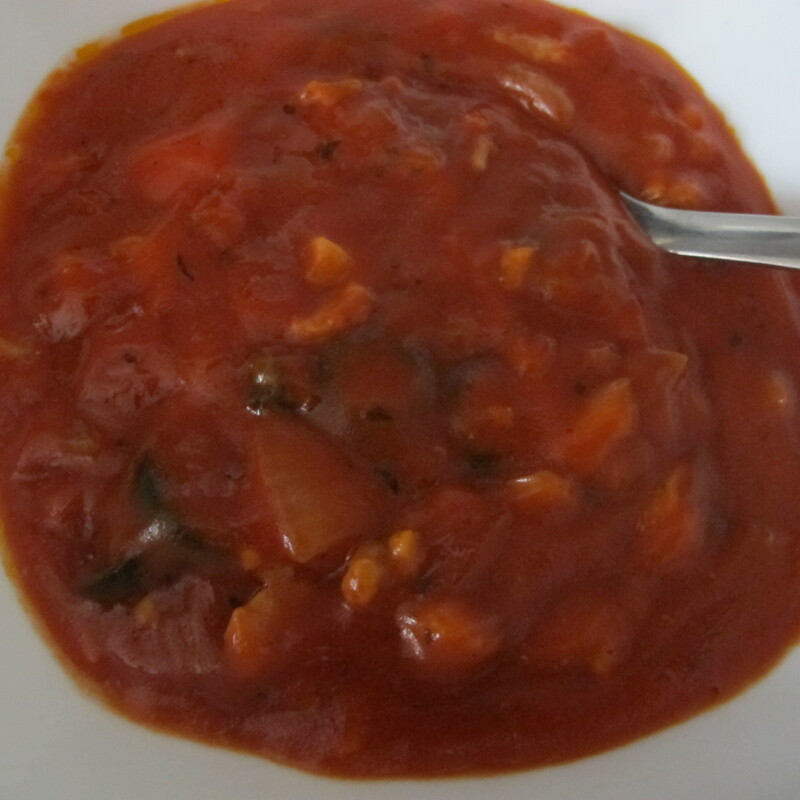 Lastly add the tomato pasta sauce, simmer for 2-3 minutes then set aside. chicken,onion & garlic all chopped up and ready to saute. See the black image on the sauce? It’s black sliced olives, I wanted to add more sweetness to it and black olives are just perfect! Now for the taste test, meet my food critic Gabbie. Apparently she loved it! I thought she might find it too sweet & sour due to the tomato flavor,turned out she likes flavorful dish.